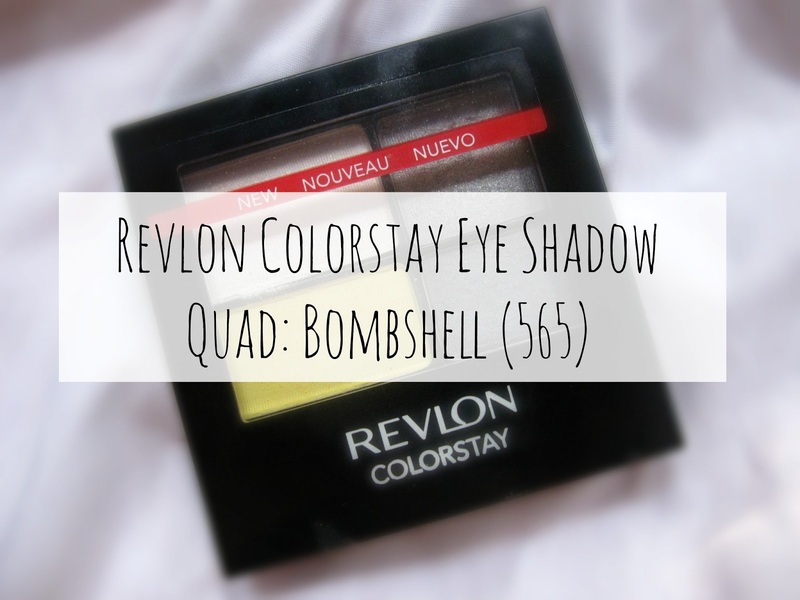 A little while ago my sister bought some make-up to try and one of the things she bought was the eye shadow quad from Revlon. Since this is a product always in your face when you visit the Revlon self, I though why not do a review about it. If you would like to see some swatches and more photos click the link below! 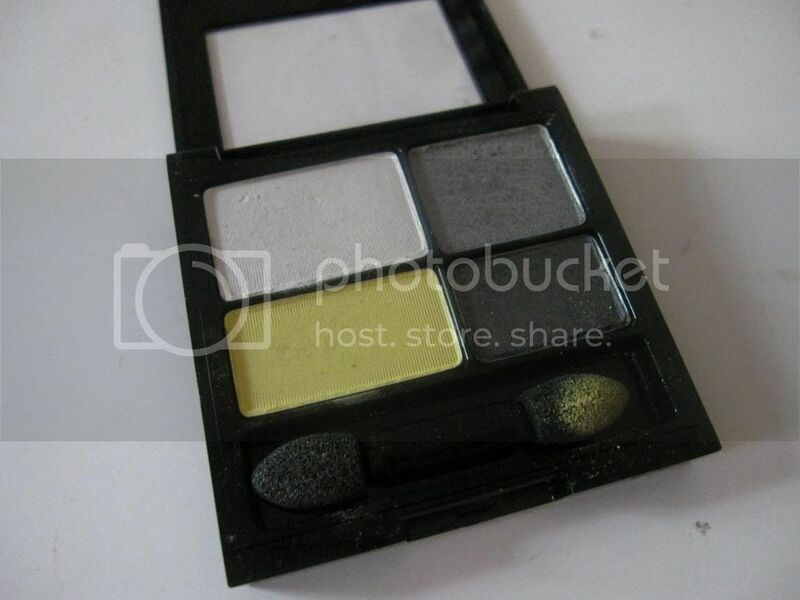 Colors: When you first look at this palette, the colors are beautifully matched. You have a shimmery, pearl high-light. One grey and black shimmery shadows great for a chic look. Then a matte yellow for a extra pop of color. When swatched once, you get very faint...i mean...FAINT swatches ( except for the white). Colors are so blah when applied. Even with a concealer base, the colors fail to show up. Application: Application is so-so, after a few strokes I was able to get the shimmery colors evenly applied to my eyes. Though, the matte yellow was a fail because I had to literally scrape the pan to get the yellow color. Btw, I used Sonia Kashuk Hidden Agenda Concealer Palette as my base. Standby Time: This eyes shadow says it lasts for six-teen hours (claim), but most definitely not. I applied the eye shadow at 12:00 am and now it is 9:00 pm (total of eight hours) and the yellow is very-very faint. The shimmery, you would think would last, creased and pigmentation disappeared to the blah look. Quick Look: Blah colors and does not stand up to the claims it makes. Will I repurchase: YES....lol, jk NO!! Not tried this product and don't think I will now. Thanks for this review. I have a palette from the same collection but in the colour 'Attitude' .. I was also expecting much more from it.. I was literally tempted to pick this up today in town. I am so glad I didn't now I've read this! I was even tempted to go back. Now I definitely won't. Great review, can't wait for more. 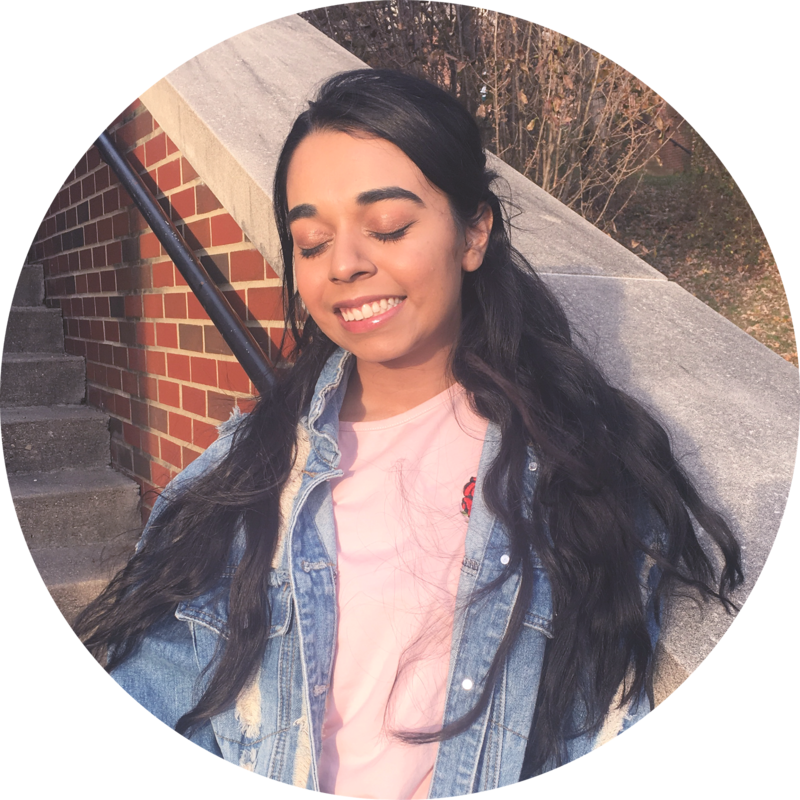 It'd be great if you could check out my blog! I also had the same problem with my Attitude quad! :( Urgh, such a waste :/ I thought I was the only one that had problem with it since I heard a couple of good reviews on it. I think I will have to check this palette out! This is the third time ive stumbled upon your blog! I love your header! I've always been so skeptical when it comes to buying drugstore pallets, might have to go and try this one out :') Thanks for the review! Good luck because this one stinks! I love your blog and just nominated it!